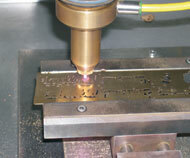 Fine Laser Cut: Laser Cutting For Jewelry Applications. We do not have a set up fee. We do not have minimum order requirements. We work out of the customer's metal. It can be shipped from your supplier directly to our company. We will return the scrap. Our specialists are always ready to respond your inquiries. We need a vector graphic file of your design as well as to know your preferred metal type and metal thickness. Samples made by Fine Laser Cut for Jewelry Application.